It was in 1916 that a group of about 15 families came together with one thought in mind, to organize a church community that would fulfill all of their spiritual needs. These were immigrants, strangers to the English language and culture of America. Among the group were those who were born to Russia as well as others who came from the Carpathian Mountains in the Austro- Hungarian Empire. Thus it was that a small but united group of families began a spiritual journey that had such a powerful effect on all of us today. In 1916, the first service was held in a very humble setting in the Zeffro building on Eighth Street and McKean Avenue in Donora. The first priest to serve the parish was the Rev. Nicholas Podlosky. In 1917 this far-sighted group felt strong enough to build and maintain a church of their own. They did with the barest of necessities to accomplish their holy work. They were incorporated by the Court of Common Pleas of Washington County of Pennsylvania. The Judge signed the Charter on the 16th day of April 1917. Immediately thereafter lots were purchased in the Heslep Plan of Lots, and in April of 1918, the first floor of the church was completed and a roof was placed over it. On September 17, 1918, the congregation purchased a home at 809 Heslep Avenue, which was used as residence for its Pastors up until 1963. It was in 1951, under the leadership of the Rt. Rev. Fr. John Skvir, that the new and present church was erected. This beautiful structure, built along the lines of the traditional Russian Orthodox architecture, remains as one of the few current old styles of buildings today. It had its Blessing and Laying of the Corner Stone on May 18, 1952 with the Rt. Rev. Bishop Vyiacheslav officiating and assisted by the Valley Clergy. The building of the church was truly a “labor of love” as so many men from the parish volunteered their services and labored ceaselessly in this project. This occurred after working a full day shift at the mill with little rest. Of unique interest in the building of the church was the fact that no mortgage was taken out during its construction. In 1963 a new colonial style Rectory was built alongside the church. Once again the parishioners volunteered their services in laying brick, etc. 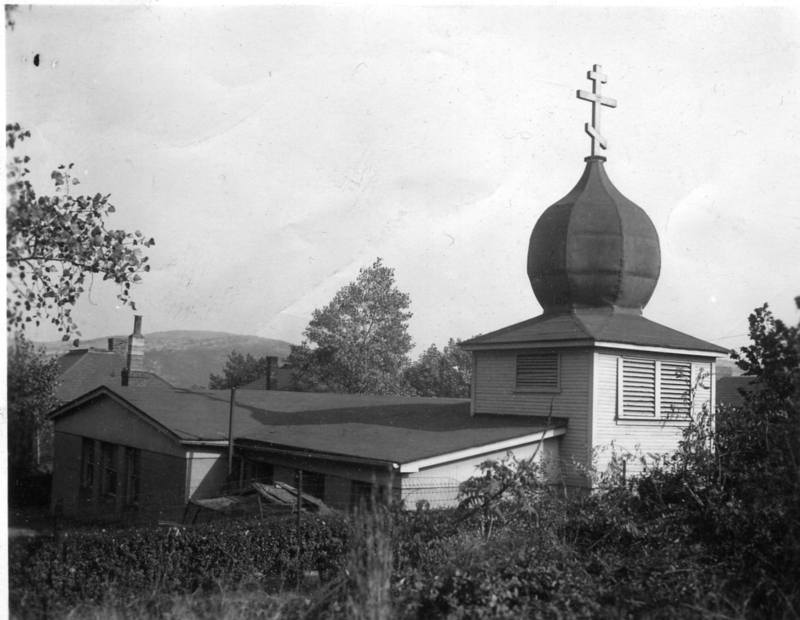 The formal dedication of the new St. Nicholas Church and Blessing of the new Rectory took place on September 13, 1964 with the Rt. Rev. Bishop Nikon officiating. The burning of the Rectory Mortgage took place on Father’s Day, June 19, 1966 at a special church dinner. Also during the 1960’s the church hall and kitchen were renovated along with the purchase of modern equipment. Also during that time, landscaping and paving of the grounds was accomplished and extensive beautification of the church interior also took place. This is when the large imported chandelier was donated. In 1970 new stained glass windows were installed and in 1983 new Icons were painted on the church walls. In the 1980’s property was purchased for the building of two parking lots and modern air conditioning was installed. Through the 1990’s and 2000’s additional Icons have been added to the interior. Also in the 2000's the church became accessible to all of the faithful, with the installation of a chair lift. The church hall, kitchen and driveway also were rehabilitated in 2010. Fr Igor Soroka has served as Pastor of St Nicholas Church since 1959 and serves as Dean of the Mon. Valley Deanery. Prior to his coming to Donora, eighteen priests have served the parish. One of the former priests, Fr Peter Shymansky of Blessed Memory, was consecrated as a Bishop of the church and the late Metropolitan Vladimir was baptized at St Nicholas Church in Donora. 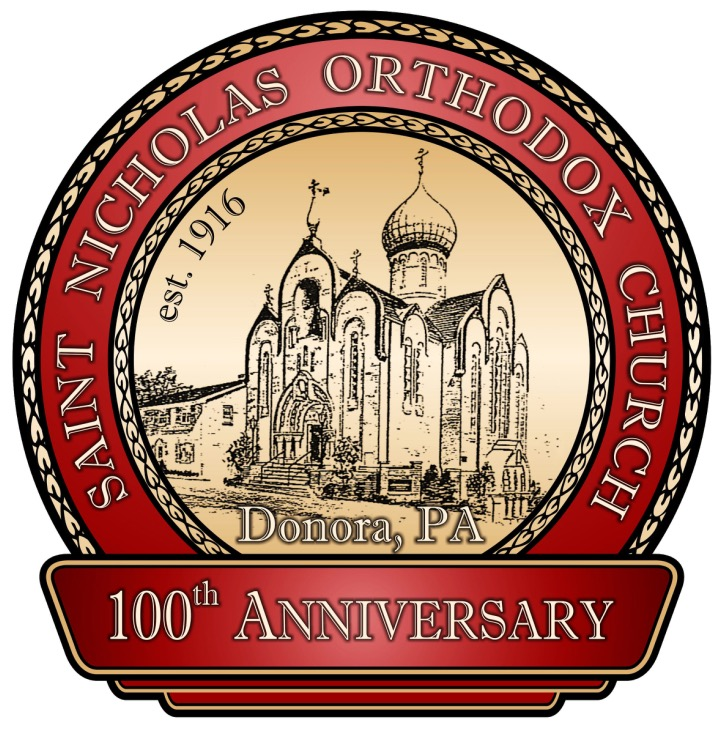 St. Nicholas Church strives to maintain a strong sense of community involvement as a member of the Donora Chamber of Commerce. The Church is proud of two of its former members who entered the Holy Priesthood and who have had long distinguished service it the Holy Vineyard of Christ, the V. Rev. John Nehrebecki and the V. Rev. Nicholas Yuschak, both who are now retired. Also of note is the fact that four of its members are graduates of West Point, and in the 2nd World War, the first naval casualty was a member of St. Nicholas Church.